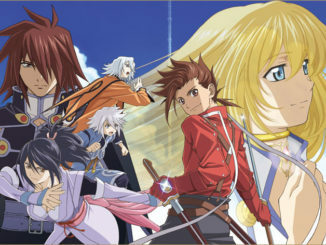 First off, two new articles about Tales of Hearts from GameWatch andDegenki. They pretty much talk about the information we posted before in previous news posts. They have the background story in there, if you click the full story, you'll see our translation of it. 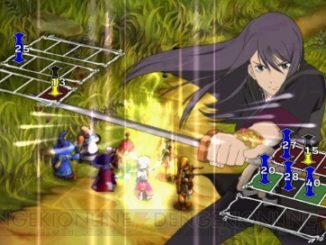 As for Tales of the World: Radiant Mythology 2, we have new info/screenshots from Degenki. Said screenshots have been added togallery. We have the main storyline here. As usual, you are a Descender, someone born from the World Tree of the World Granide. Since time immemorial, the people of Granide have been in war over the power of the World Tree. Apparently, you fall from the sky and on to the Van Eltia (Chat's ship in ToE), which is also a guild similar to Ad Libitum in RM1. Kannono Earhart (Kannono from RM1), a member of that guild takes you in and introduces you to Chat, a descendant of the great pirate Aifried, the captain of the Van Eltia and the leader of the guild. There, you help out with the guild that has the Van Eltia as its base. There are also descriptions for the Tales characters here, but they pretty much tally with their actual roles in their respective games, i.e. 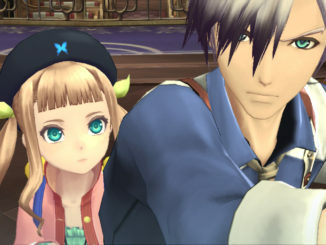 Guy is Luke's servant who has difficulty with women, Cless is a sword instructor from the village of Rosette, Spada is actually of nobility, but ran away from home, stuff like that. The article also says that some of the previous characters who weren't playable may become playable now. Lastly, two new magazine scans for Tales of Vesperia. Pretty much confirms Hi-Ougi cut-ins for bosses, as well as the return of the beloved Wonder Chef, and like before, you find him hiding in conspicous looking things . Finally, names of the blue-haired guy and the two girls fighting Yuri in the opening movie have been revealed. The guy is Iegar (romaji IEGAA), the red orange-haired girl is Gosh (GOSHU) and the yellow-haired girl is Drowette (DOROWETTO). They are part of the guild "Leviathan's Claws," and is a guild full of assassins, the same ones after Flynn and Yuri. You'll notice from the scans Nan and Tison's cut-ins, as well as a combo cut-in from Gosh and Drowette. 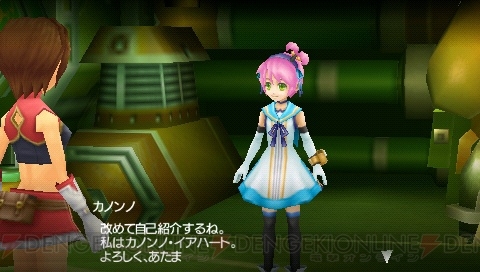 Judith from our Forums also pointed out a new boss battle video, which you can find here, from Famitsu. I will be a little inactive for a while because of my preliminaries... So many things to study AAUUGGHHH!